Download MEmu Android Emulator for PC : Are you bored of bluestacks app player ? and are you facing Bluestacks App Player Graphic Card Error or lot more issues ? Don’t worry here WindowsPCGuide goes live again with one more awesome android emulator that is MEmu app player. MEmu android emulator developers really very smart. These guy’s fixing all issues in very less time on this MEmu app player. Recently Feb 21st they released new version of MEmu by fixing some errors while installing MEmu android free emulator. I installed this MEmu app player on my windows 10 laptop and i really felt best experience among all emulators like Nox Android Emulator, Droid4x and Andyroid. You can also get a full user manual tutorial of Nox App Player Download for Windows 10/7/8/8.1/XP/Mac from here. Using MEmu android emulator we can play games with keyboard, mouse and joystick on awesome bigger screens rather than on our small smart phone. Scroll down to MEmu android emulator free download to Windows 10/7/8/8.1 or Windows XP/Mac PC/Laptop. MEmu Android emulator also available in two forms. One is MEmu Online installer and second one is MEmu Offline Installer. Download your respective android emulator and starts installing. Here are the both links to download MEmu App Player for Windows 10 or Windows 8/7/XP/Mac/8.1 PC/Laptop. While installing MEmu Android online installer make sure that you must have good internet connection to fix some common bugs. 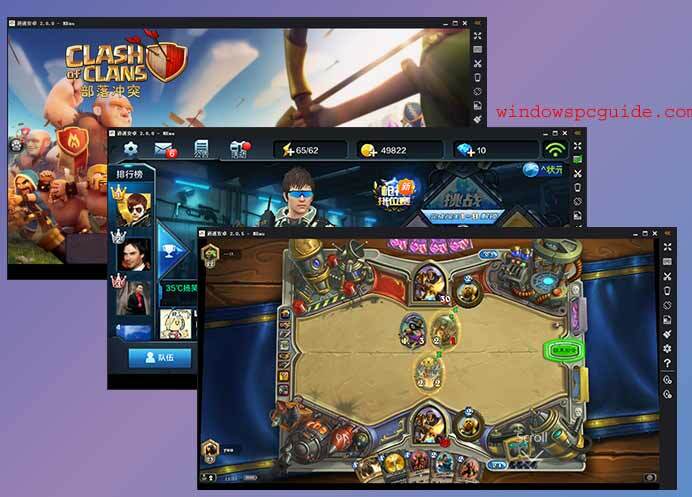 Play Clash of Clans for PC on Windows 10/7/8/8.1/XP Laptop using Bluestacks. Now you can install these kinda games or apps using MEmu Android installer. These are the few requirements to install MEmu App player on to our Windows/Mac PC or Computer/Laptop. MEmu App Player require’s at least 1GB Memory. Require 1 GB of free disk space under installing path. Windows Versions : Windows 10, Windows 7, Windows 8, Windows Vista, Windows XP SP3. Intel or AMD CPU with Virtual Technology Support. After downloading MEmu Android Emulator from above provided links. And move to this downloaded MEmu installer and double click on this emulator. If it’s online installer make sure that you must have proper internet connection to fix some common installation errors those are basic errors. 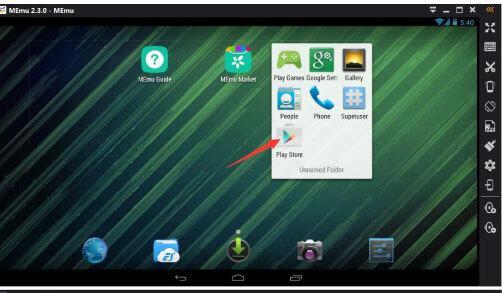 Just wait for few minutes to completes installation of MEmu android emulator or app player. Hmm… Guy’s MEmu app player installed successfully. 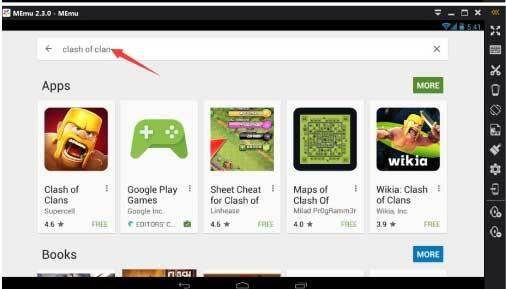 Now open Google Play store to install different apps or games. For clear view take a look on this below picture. Search for different games or apps like Clash of Clans, Temple Run, WhatsApp, Hike etc etc on Google Play store in MEmu emulator to install them into MEmu Player. If you want to install 3rd party apps or Apk’s like MovieBox, ShowBox & PlayBox HD which are not available in Google Play Store just tap on “Apk” option in side bar. And add that apk to MEmu Emulator. Or else just drag that .Apk to MEmu screen then it’s starts automatically installing. That’s it guy’s. It’s your turn to Download/Install MEmu Android Emulator to Windows 7/8 or Windows 10/8.1/XP/Mac PC/Laptop. You can install all your favorite apps/games on PC using MEmu android emulator. Multi windows facility also available in this MEmu app player on Laptop/PC. We can watch live TV Shows, Movies and programs. User friendly keyword structure. Easy to chat via chatting apps like Kik, WhatsApp, WeChat, Hike and lot more messengers. GPS location simulation also available in this app player. File sharing also possible between android and windows. Drag and drop method to install apk files to MEmu android emulator. For better experience we can map the keyboard or joystick to screen touch. Latest MEmu v2.3.1 and V 2.3.01 versions supports more languages like Korean and German also. I think we provided almost whole information regarding this MEmu App Player for PC on Windows 10/7/8/XP/Mac/8.1 Laptop. If you have any queries follow up through comments. i m download MeMU lattest version.. in 99 percent app crush.. app not open properly. I have installed memu but I get a run time environment error everytime right after starting it (Windows XP Professional SP3 (32-bit)). Memu seems to install game but won’t open it no matter what + its not google play store issue..
Hi, can I run this file on windows 7 with 1 GB ram (32-Bit operating system) ?